It’s not a numbers game. Printing business cards and handing them out to as many people as possible has no effect on the amount of new business you generate. It’s about quality, not quantity. 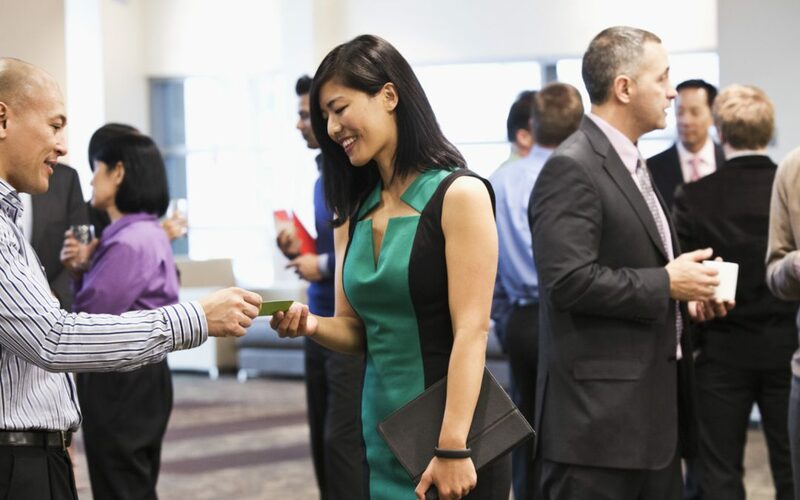 Follow these tips and you could be more effective at networking and exchanging business cards. The actual exchange of business cards shouldn’t be an abrupt thing. It should have purpose, extend an open invitation to talk later, and most of the time; offer closure to a conversation. So how do we get there? 2. Make them talk about themselves. Avoid the common “What do you do?” Try something like “Are you working on something exciting?” By stating the question this way, you’re already giving their work significance, which makes them feel great. Don’t let it stop there. A good question to ask, that always makes a deep personal connection, is “How did you get into that space?” There’s always a story, so let them talk about it with passion. 3. Briefly tell them what you do. Describe what you do in a way that tells how you’re solving a problem. Don’t say “I’m a graphic designer.” Say “I help project the voices of brands.” Once you feel they have a good understanding about what you do, shift the conversation back to their work. Offer free advice (based on what you do) that they can apply to their work. Being helpful and planting idea seeds (#ideaseeds) never hurts and takes minimal effort. Remember – this isn’t about you. 4. Identify how you can help them. Hopefully as they talk more about their work, they will reveal a roadblock or problem they’ve encountered along the way. If not, you can simply ask “What challenges are you facing right now?” This is your chance to indirectly sell yourself. For example, if they mention something like “We’re not attracting the customers we set out to target.” As a graphic designer, you can respond with “That’s interesting! But that’s an opportunity for you to capitalize on a different market segment. You know, I can help you come up with branding that appeals to your original audience, and messaging that targets that niche.” Again, be helpful, not salesy (it’s a word in our vocabulary). 5. The Business Card Exchange. This is it. You’ve gotten personal, you made them feel special, you told them what you do and were helpful by planting #ideaseeds, and you’ve offered a solution to their problem. All of that was the buildup. At this very moment, they have nothing but good feelings about you and hopefully they’re still thinking about what you said. Let them process it, let it stew in their minds. This is the moment you offer them your business card with no strings attached. “It was so great to meet you! Let me leave you with my card so you can get in touch with me if you need help with your graphic design and marketing.” If they don’t offer it, ask for their business card as well and tell them you intend to follow up with them later on. 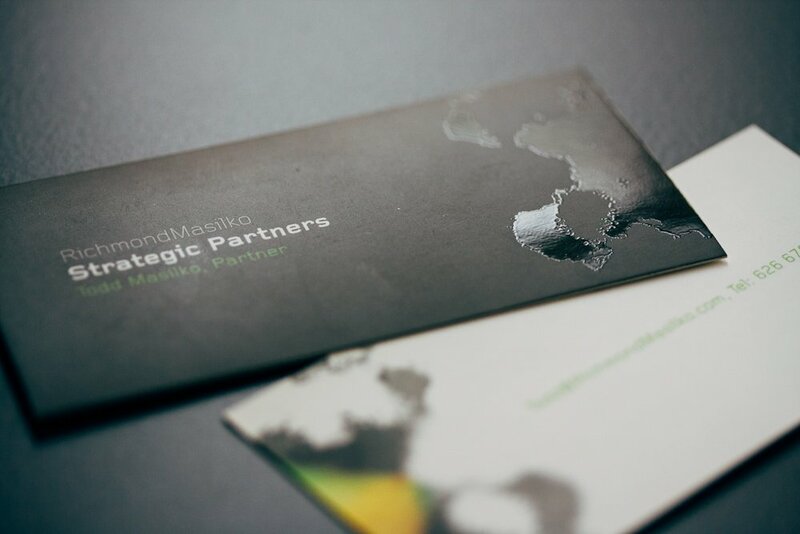 Try out these tips to see if you make deeper connections and master the perfect business card exchange. Quality of business cards is another dimension to the equation. Try out our basic business cards or our premium business card options and get networking!